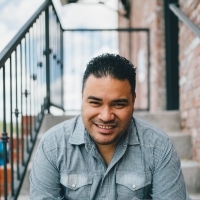 Pastor Matt is currently serving as an Associate Pastor at Samoan Christian Fellowship under the pastoral leadership of Superintendent Tuugasala Fuga. He has served in various ministries such as Youth, Worship, Sunday School, Church-planting, and Missions. He was also blessed with the opportunity to serve as a pastoral staff intern for 3 years at James River Church under the leadership of Campus Pastor David Lindell. This opportunity enabled him to gain extensive experience and insight on the behind-the-scene pastoral work, planning, approaches, and methods for effective and productive ministry. Before moving back to Kent, Washington upon graduating from Evangel University, Matt was able to help Pastor Steve Anoai plant and launch a new church in Springfield, Missouri called Emanuel Assembly of God. In May of 2015, Matt earned his Bachelors of Arts degree, majoring in Biblical Studies and minoring in Leadership, from Evangel University. He hopes to earn his Master's in Biblical and Theological Studies sometime in the near future. He has a passion for correctly expositing God's Word through teaching and preaching for the sake of a deeper understanding and knowledge which leads to a transformed life of godliness. Reading, hiking, or just hanging out with good company.